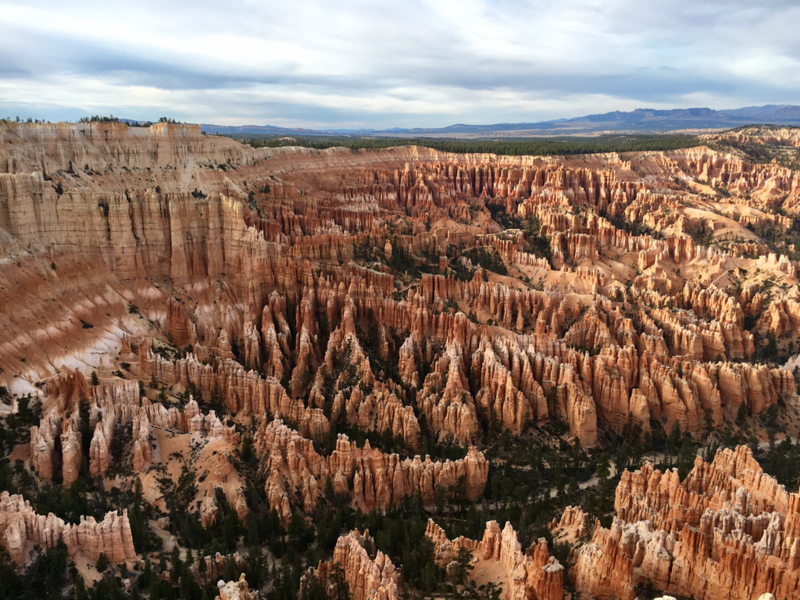 Yes this is Bryce, a beautiful canyon all gussied up in party dress colors. 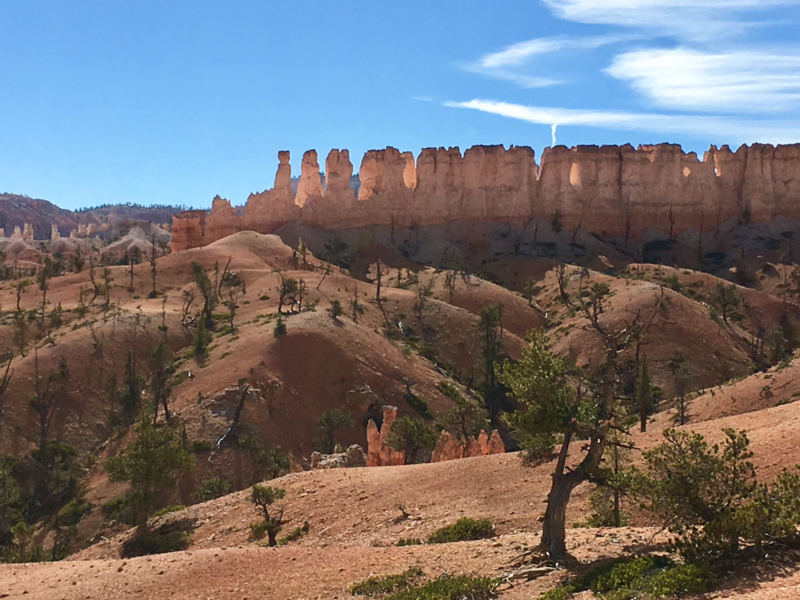 We didn't camp there this trip but drove over for a day of hiking. 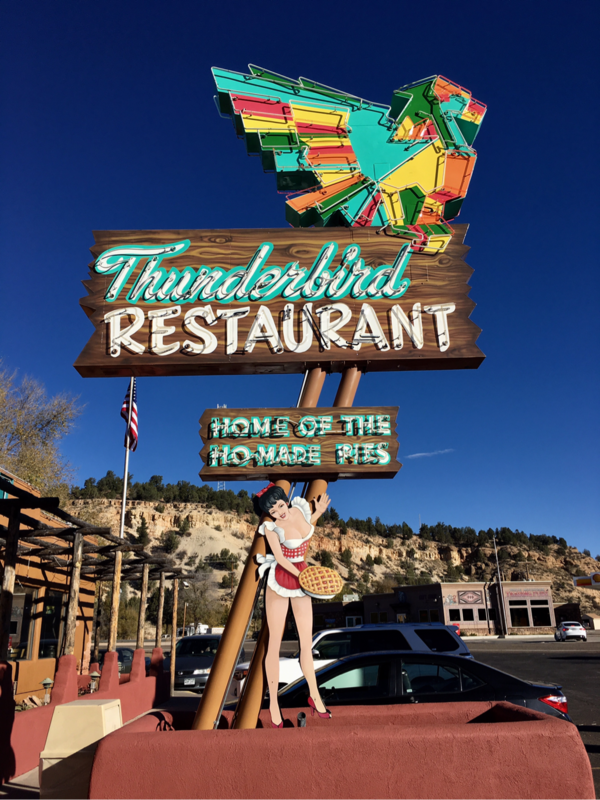 We stayed in Kanab, a quintessential western town near the border of Utah and Arizona. 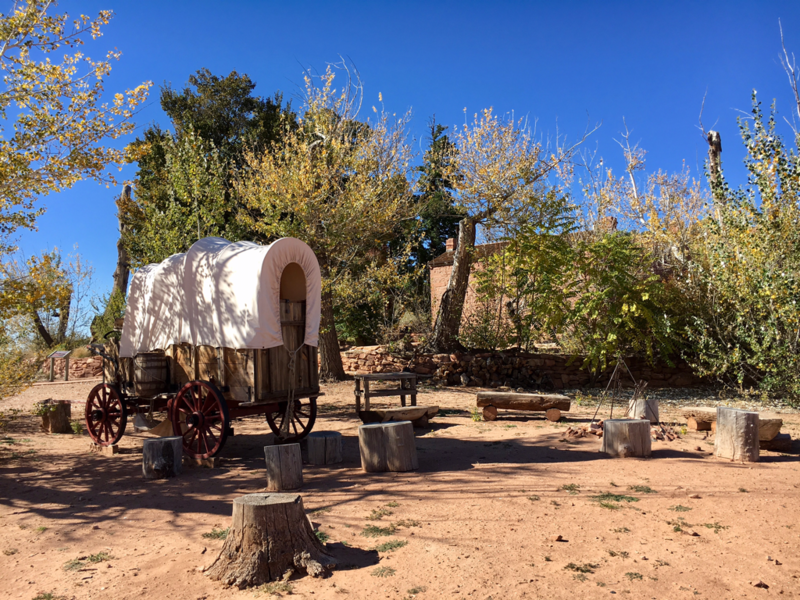 Kanab bills itself as "little Hollywood" because its red rock cliffs formed the backdrop for so many westerns- think Gunsmoke, Wagon Train and a host of others. 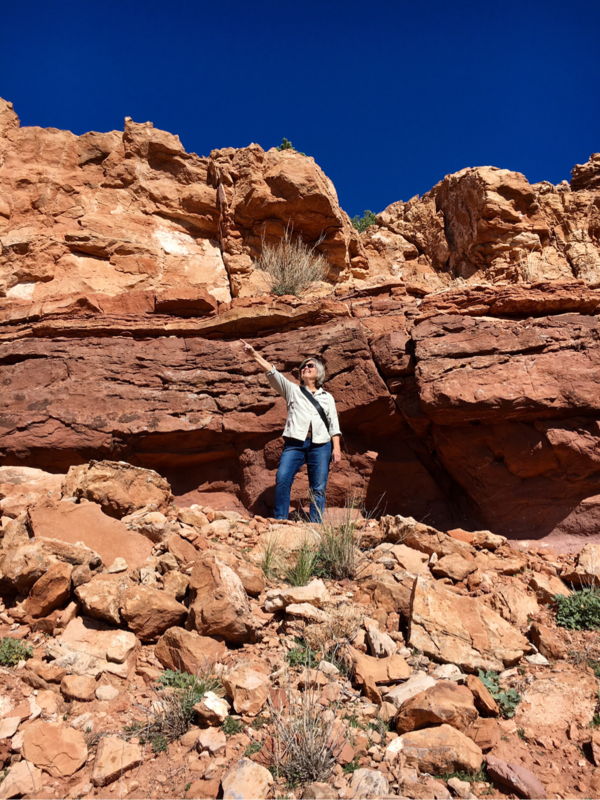 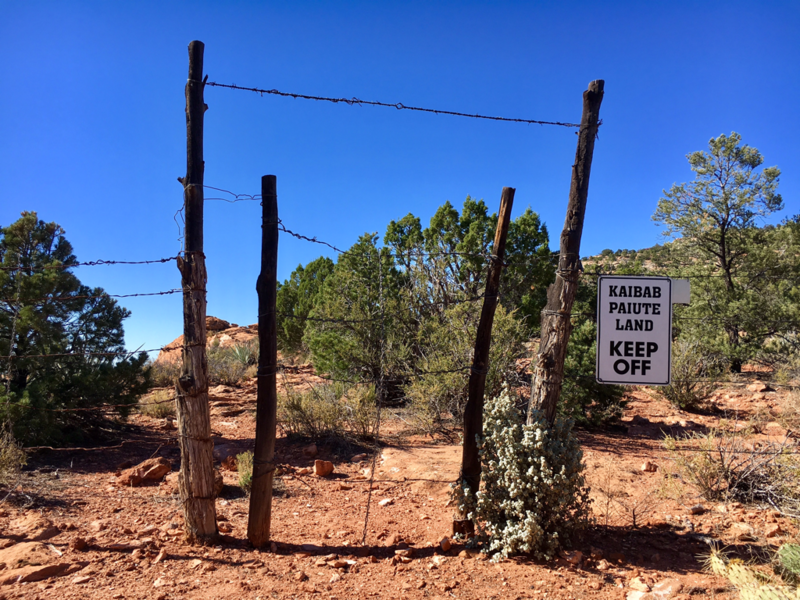 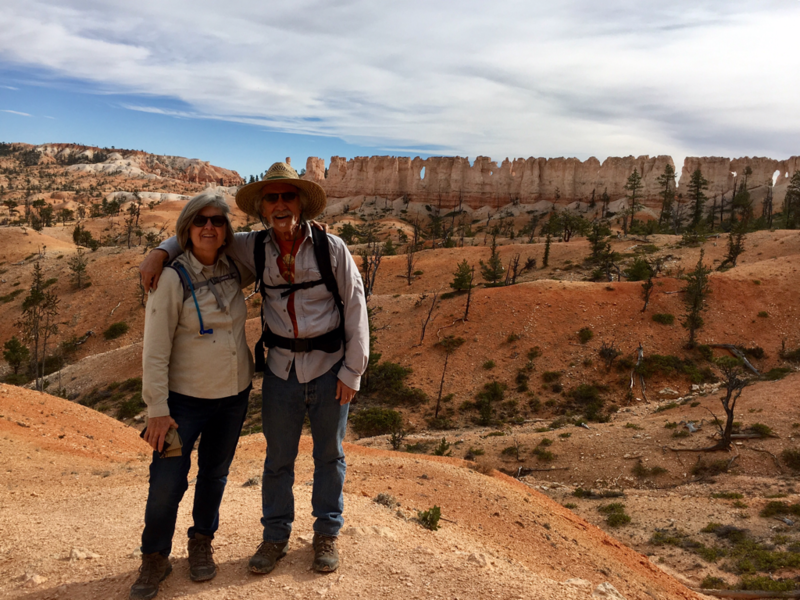 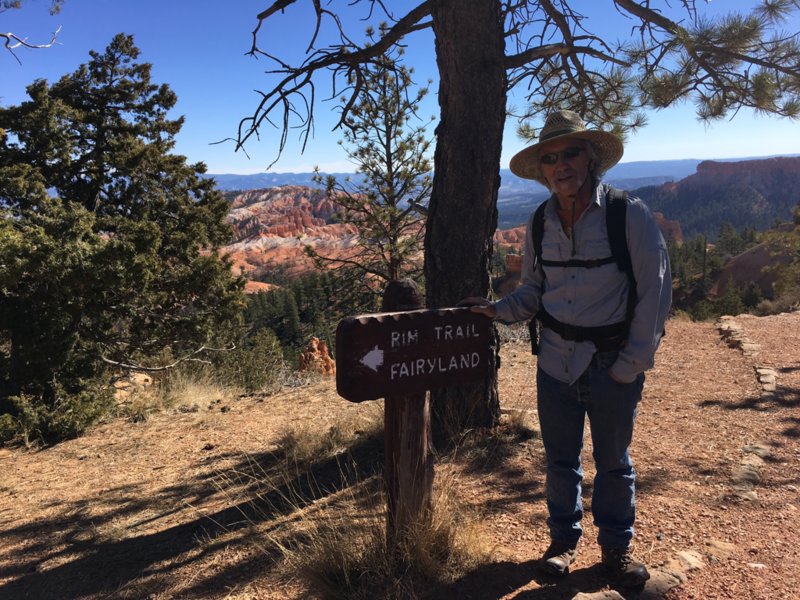 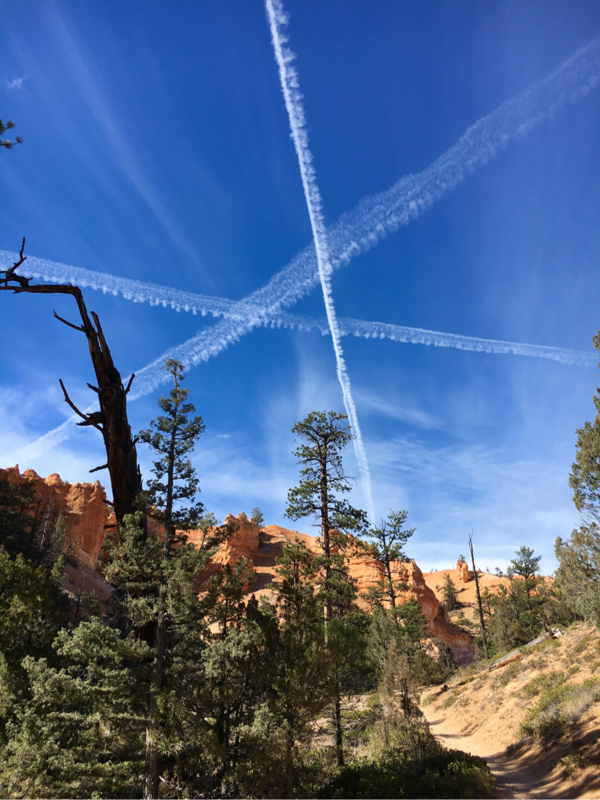 We spent a couple of days hiking the hills around Kanab.We also visited the nearby Pipe Springs National Monument which is a joint project of the Kaibab-Paiute tribal nation and the US government. 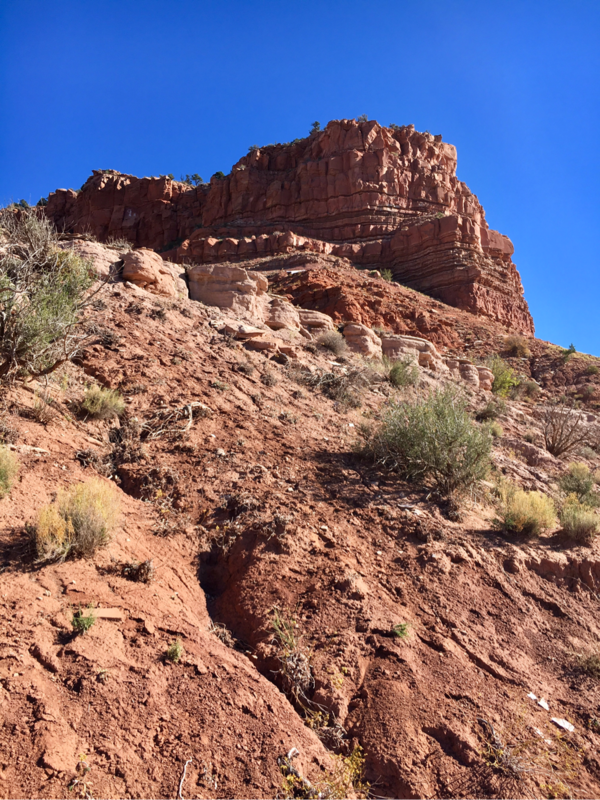 Pipe Springs was part of the ancestral lands before the Mormons built a fort on the land and took control of the water. 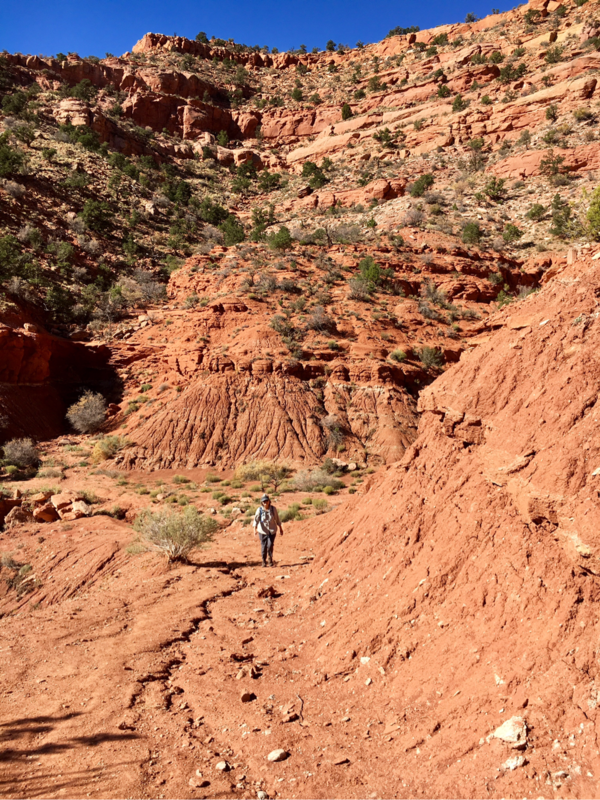 Today the water is shared between the tribe and local ranchers. 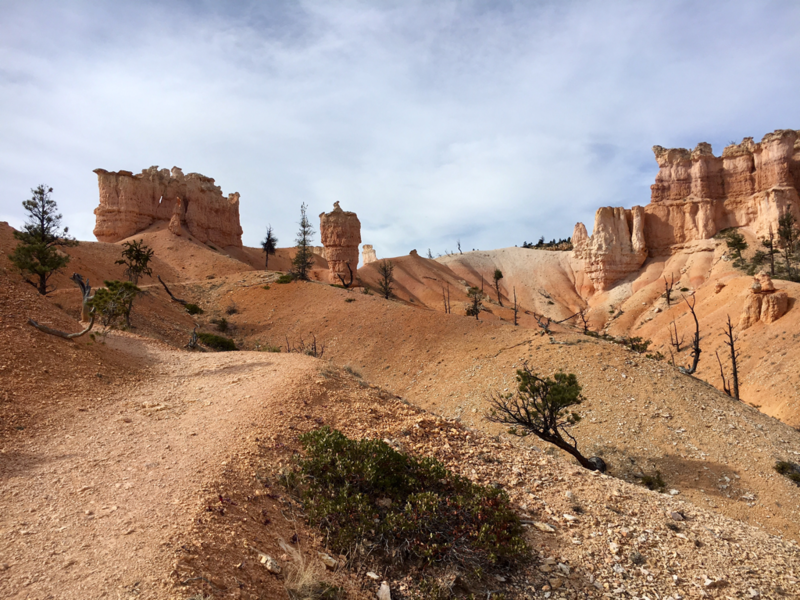 The Kanab area is is a great base to explore such wonders as coyote buttes and "The Wave" , "white pocket" and Paria Canyon on nearby BLM land. 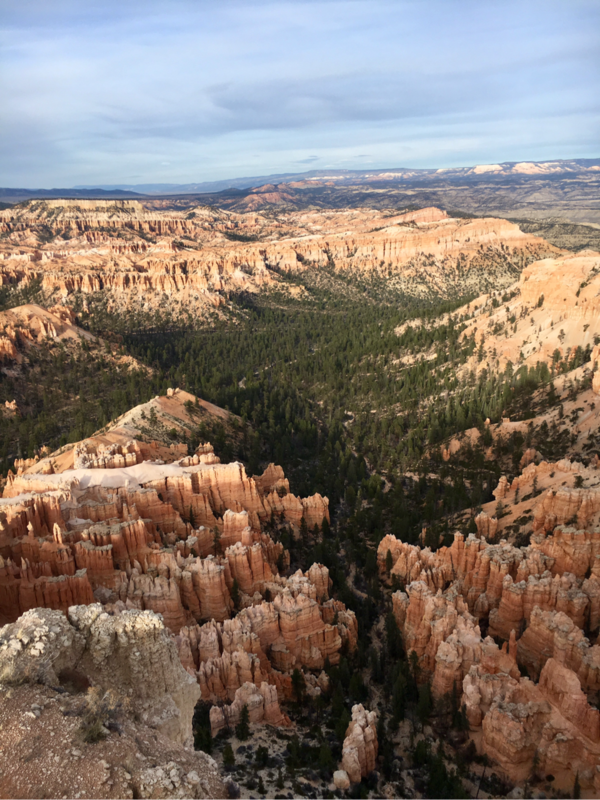 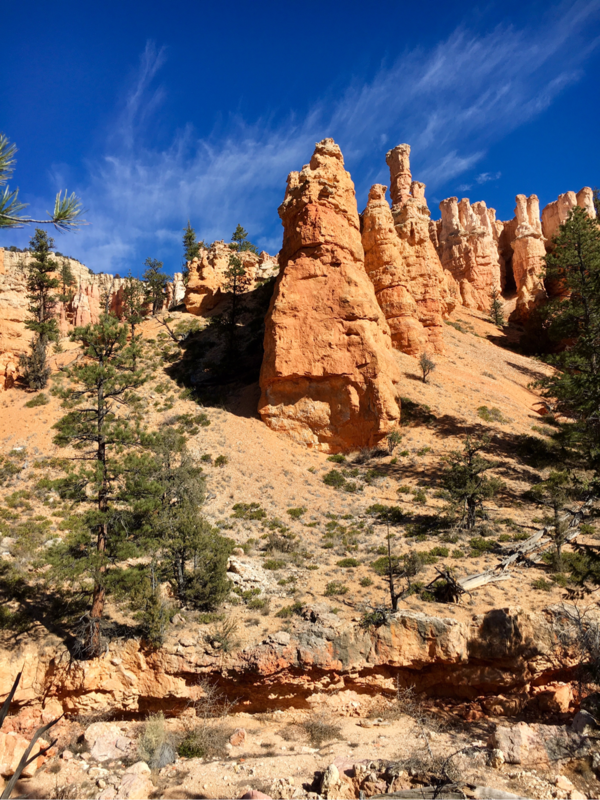 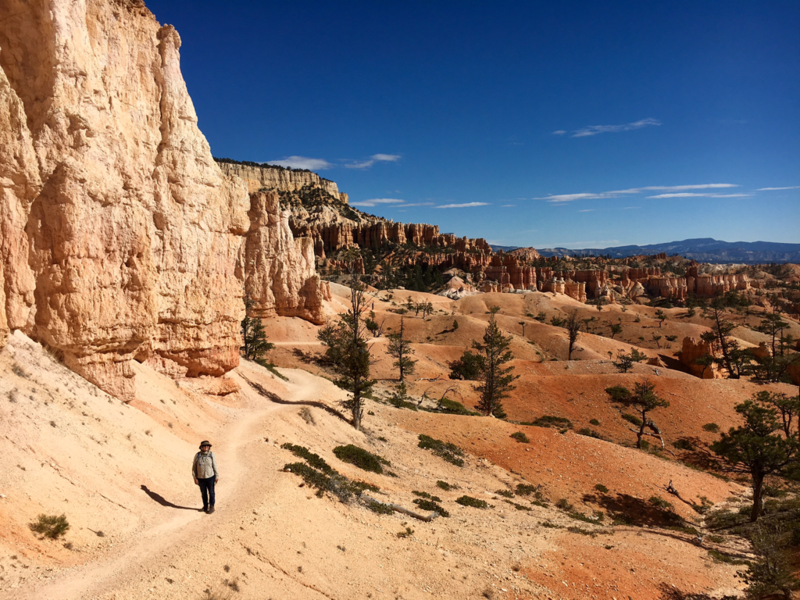 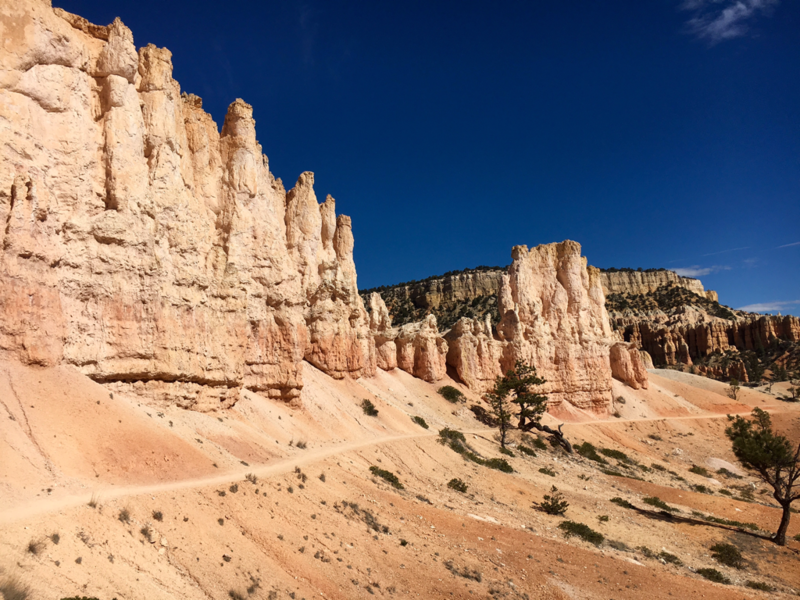 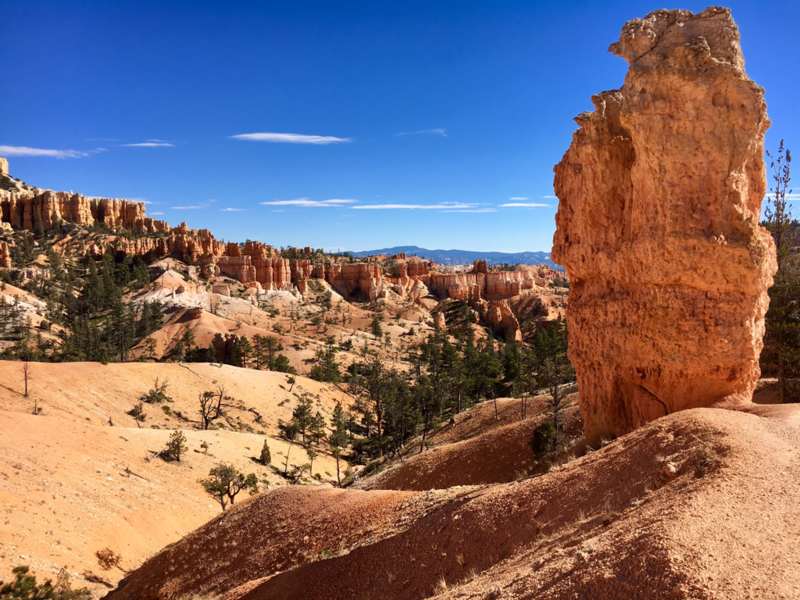 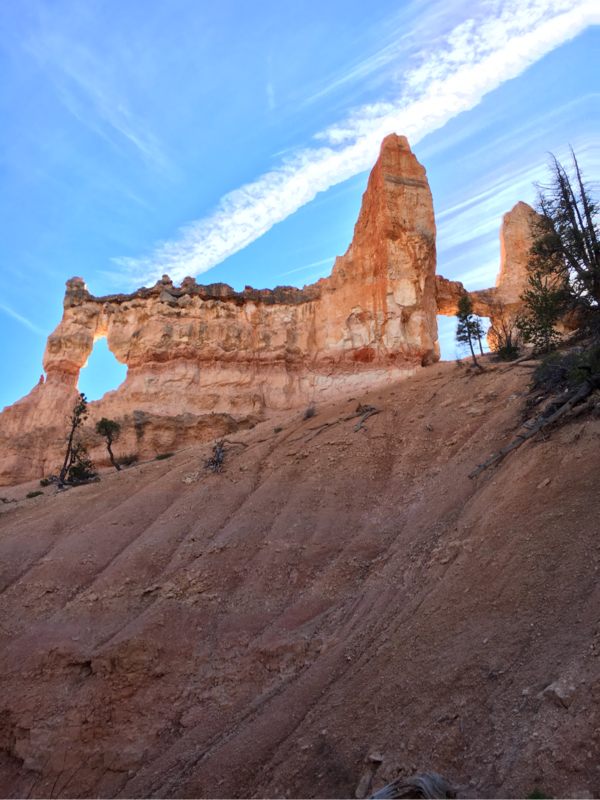 We decided to forgo those and make a pilgrimage to Bryce Canyon which was only an hour away. 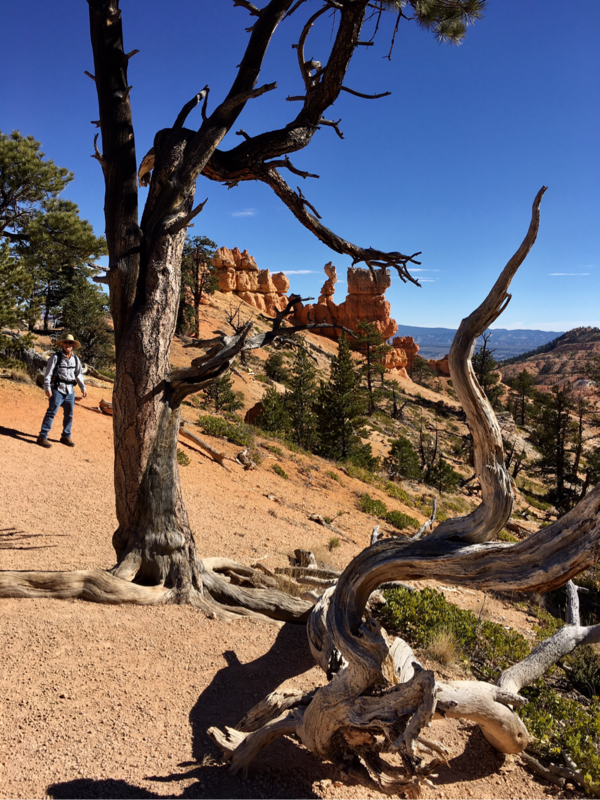 We had time for a 3 mile hike we hadn't done on a previous trip and to revisit spots on the scenic drive. 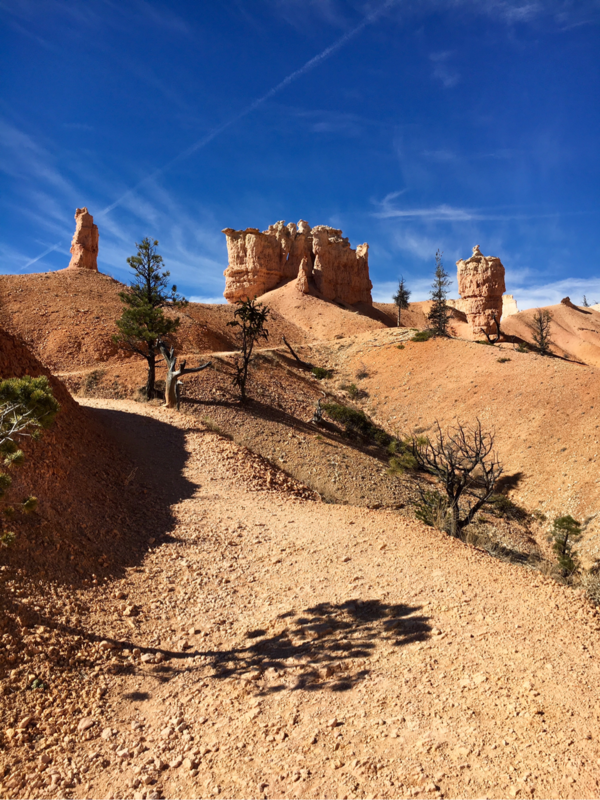 This is one of the most beautiful canyons in southern Utah. 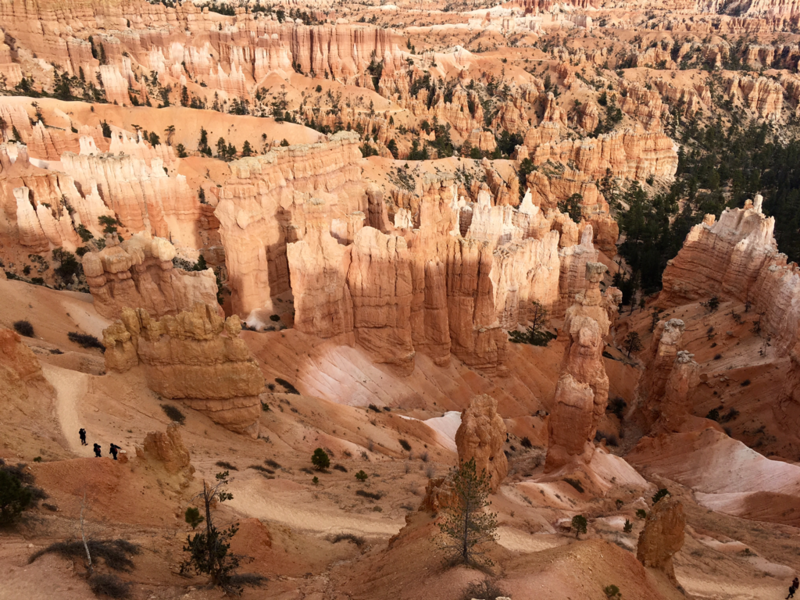 We have visited twice and still haven't explored all its wonders. 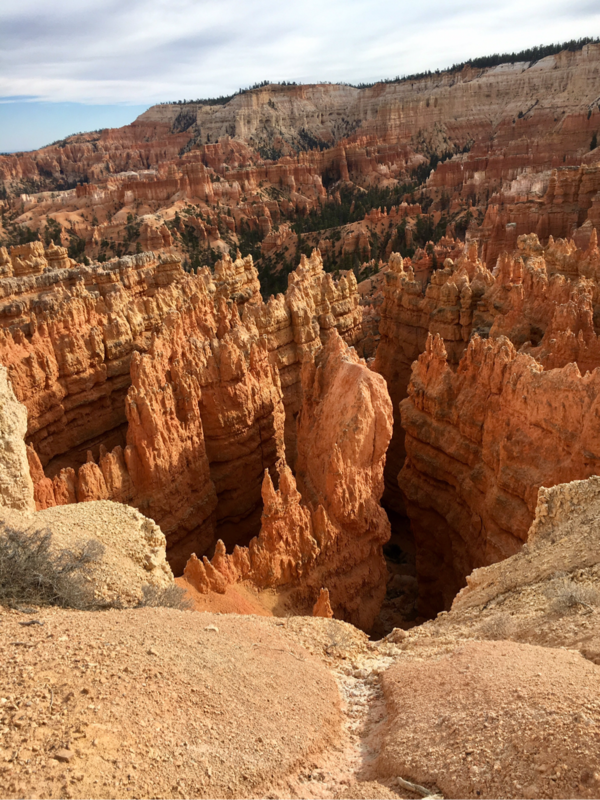 Tower Bridge- can you see it? 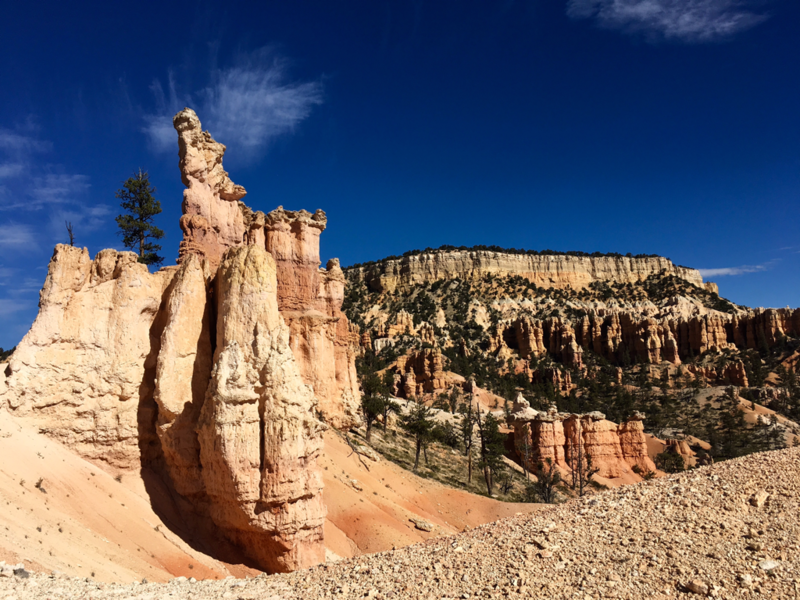 With all this beauty surrounding us, it's hard to stop taking and posting photos. 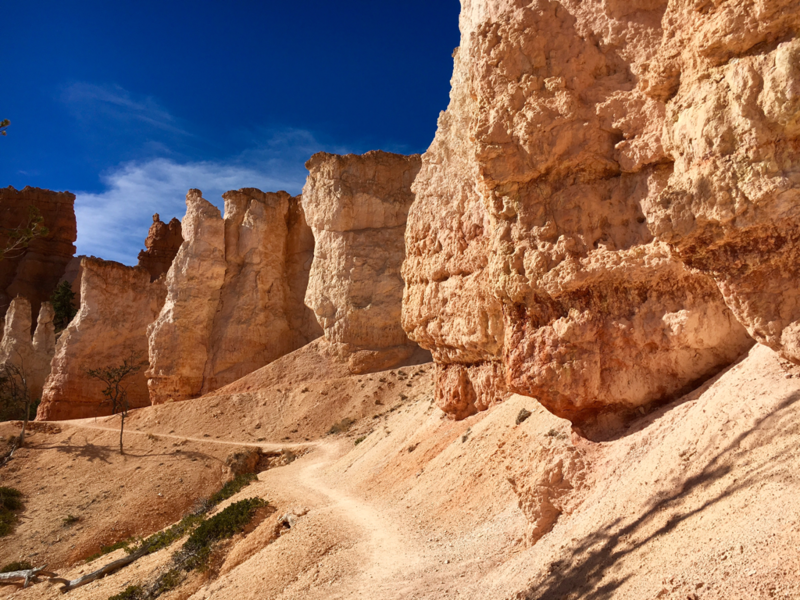 BUT another canyon is calling...time to travel to Zion.